I'm sure you do, but do you intend to open a dispute with Paypal? I'm aware youre over the time limit, but you have a strong case and calling in usually works even beyond the dispute time limit. 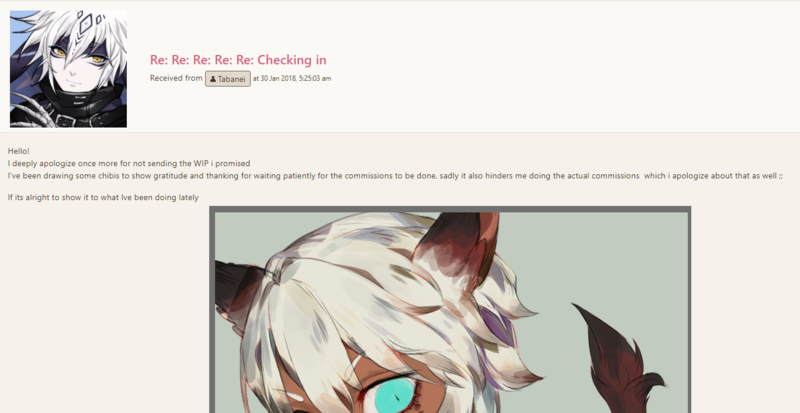 vvingblade If I'm met with silence yet again and art/a refund isn't delivered within a reasonable time since this post then yes, I do. I definitely don't want to be out of my money if I'm not getting any art. I've commissioned Tabanei twice, one headshot (which I now use as my avatar) and one halfbody. I also told Tabanei to put me on the end of her list, since I was a bit late to send the payment: https://sta.sh/0tn79q3m80r so I find it strange that my commission was completed before others when I was the last on the list. I also tend to be overly patient to artists I'm commissioning so when she sent me the apology in October, I told her she can take her time. I also sent no check in messages in between so I'm very surprised that she actually finished my commission considering everybody else's experience with her. Update (1/7/2019): Sent a DM asking for progress. Update (8/26/2018): Received flat color WIP for second one! Update (7/20/2018): Received sketch of poses to choose from for second one! 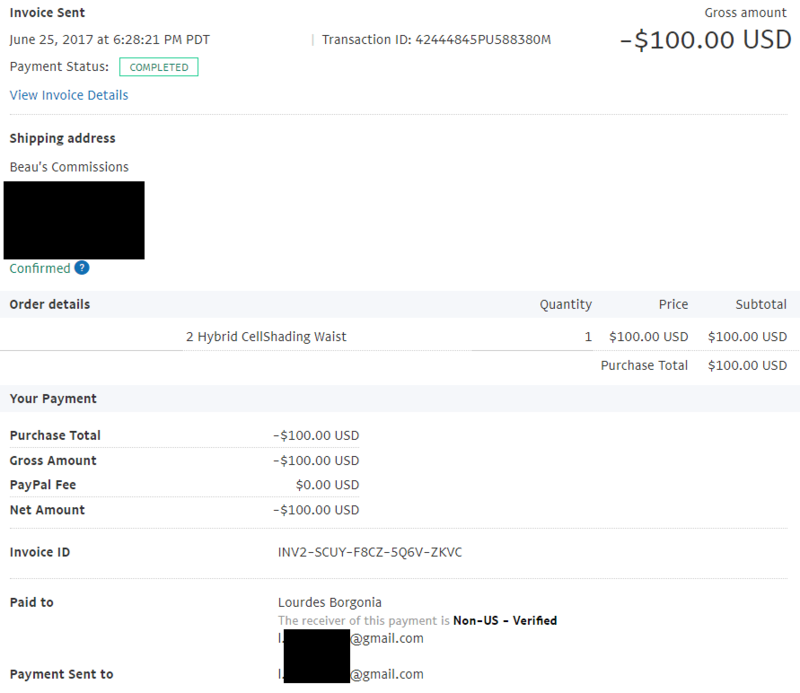 Update (6/29/2018): Received the first commission! Now waiting on second one! Update (6/16/2018): Got a twitter DM and a WIP to choose pose for one of the commissions! Glad to hear from them! I'm on the slot list linked by MisoHungry above (thanks for the screenshot!!). Between these above dates, they opened and completed adopts, chibi commissions/art for OTAs, art trades, and various personal art before touching older commissions. I've seen them post bulletins/tweet about the death of their rabbit (around November), their grandpa getting ill (around January), or about their slump in general as excuses to delaying owed arts. MisoHungry I've been in contact with them through Twitter, though our last correspondence was about 2 weeks ago. Maybe you can try tweeting directly at them since maybe they didn't see your DM? I know that Twitter separates Inbox and Requests into separate [email protected]@ Good luck!